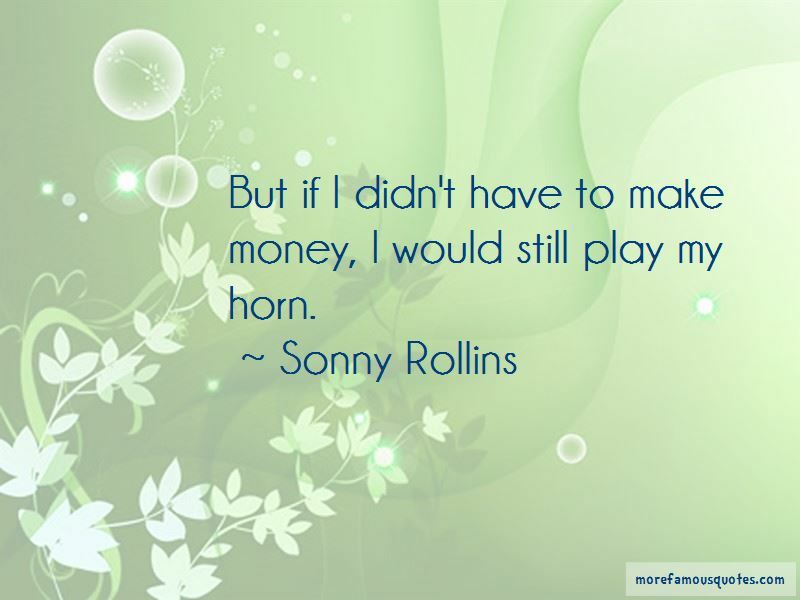 Enjoy the top 46 famous quotes, sayings and quotations by Sonny Rollins. Music represents nature. Nature represents life. Jazz represents nature. Jazz is life. I think music should be judged on what it is. It should be very high and above everything else. It is a beautiful way of bringing people together, a little bit of an oasis in this messed-up world. The thing is this: When I play, what I try to do is to reach my subconscious level. I don't want to overtly think about anything, because you can't think and play at the same time - believe me, I've tried it (laughs). Jazz is the type of music that can absorb so many things and still be jazz. Jazz never ends ... it just continues. 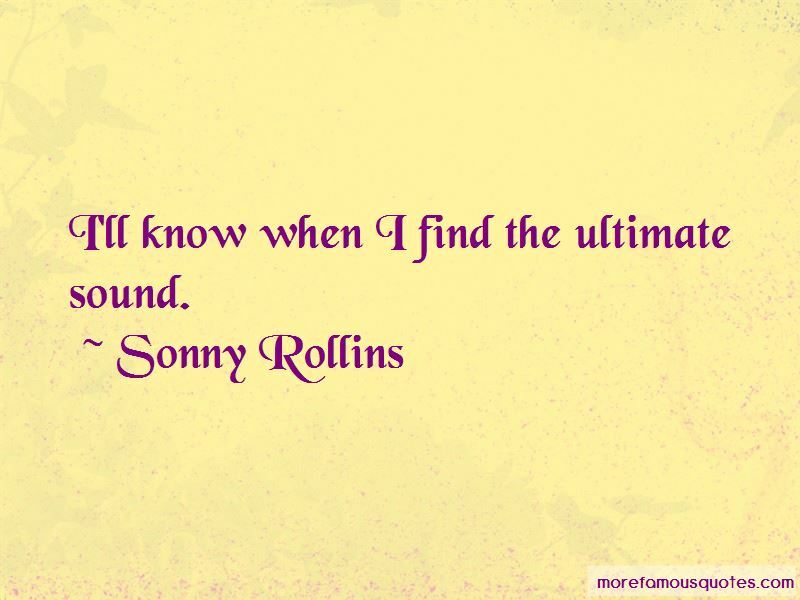 Want to see more pictures of Sonny Rollins quotes? 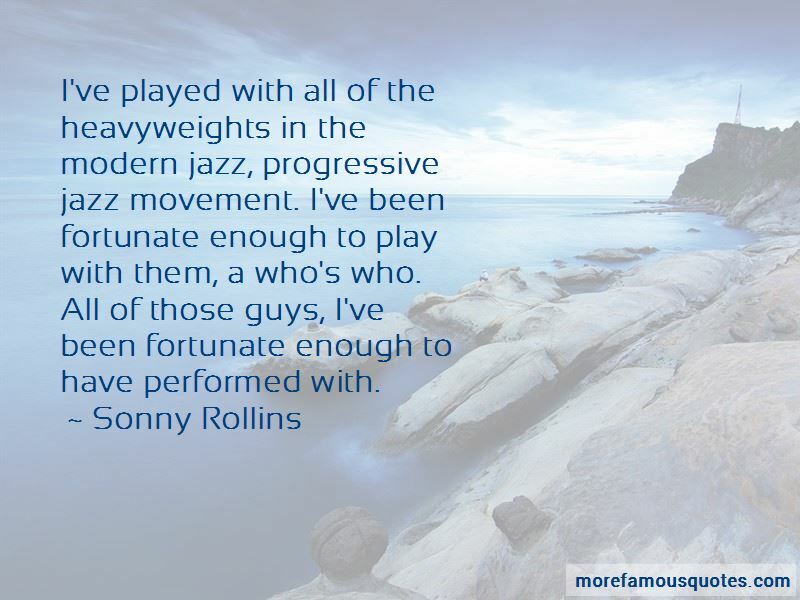 Click on image of Sonny Rollins quotes to view full size.